Between August 2001 and October 2009, all BLASPHEMY members answered interviews and did some collaboration projects with other projects in the underground scene, finally returning with full force in 2009 but… how and why? 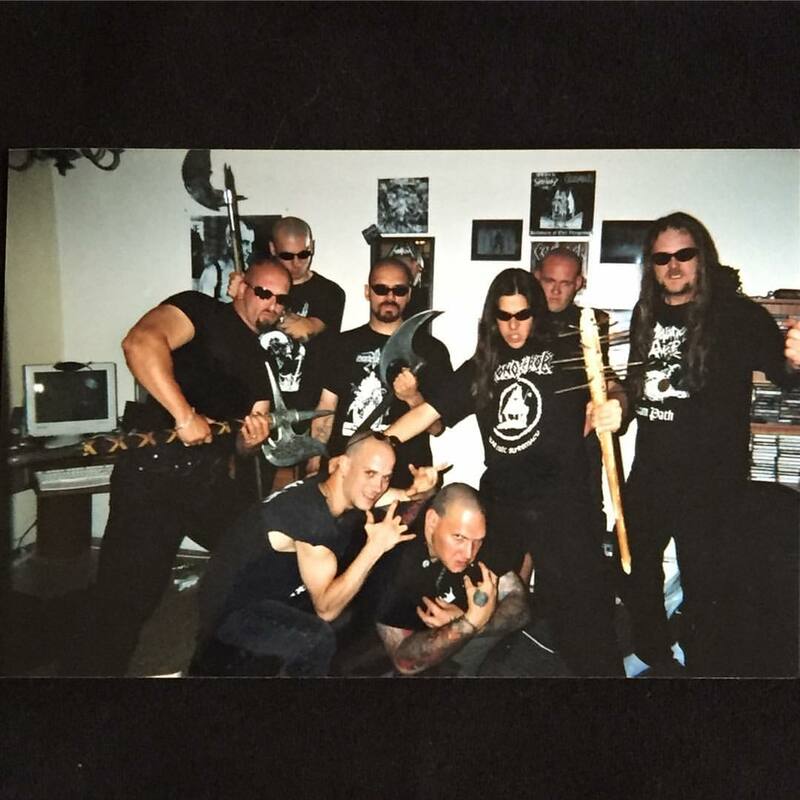 BLASPHEMY, rehearsing right before their gig at the Anza Club in August 2001, Upper row, from left to right: Marco ‘Sodomizer’, Othalaz (GODLESS NORTH), R. Förster, Impurath (BLACK WITCHERY), Vaz & Tregenda (R.I.P.). Bottom row, from left to right: Sven (DOMINI INFERI) & Black Winds. [Photo taken from Nuclear War Now! profile on Instagram]. Entre agosto de 2001 y octubre de 2009, los integrantes de BLASPHEMY respondìan entrevistas y colaboraban con sendos proyectos de la escena subterrànea, regresando sorpresivamente en 2009. ¿Cómo y por que? BLASPHEMY, ensayando en el sótano de Ryan Förster, previo a su concieto en el Club Anza de agosto de 2001, En la fila superior, de der. a izq: Marco ‘Sodomizer’, Othalaz (GODLESS NORTH), R. Förster, Impurath (BLACK WITCHERY), Vaz & Tregenda (R.I.P.). Fila inferior, izq. a der: Sven (DOMINI INFERI) & Black Winds. [Foto tomada del Instagram de Nuclear War Now! ].